I can't use CTRL+ALT+END And CTRL+ALT+DEL Is there any other method for invoking the Security Screen ? This is the best I've got so far - log on to an older (I'm using Server 2008 R2) server with the Windows Security shortcut displayed in the start menu. 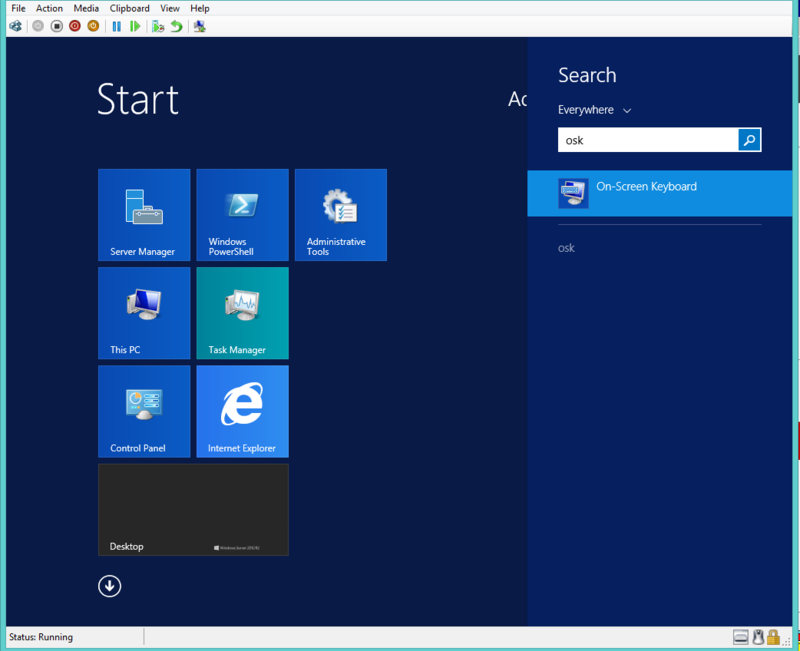 Open the Start Menu and drag the Windows Security item to the desktop. The resulting shortcut can be used on a 2012 box. This should work from the Run dialog or a Command Prompt. It should also work if launched from command line (if you want to script it). Add a nice icon from %SYSTEMROOT%\System32\imageres.dll, and you're good to go. Thanks guys! I always change it via On-Screen Keyboard. Type OSK and launch the virtual keyboard. Press CTRL + ALT and click on END with the mouse. This will invoke a security screen, where you can change the password. Not the answer you're looking for? Browse other questions tagged windows-server-2012 rdp terminal-server password-management or ask your own question. 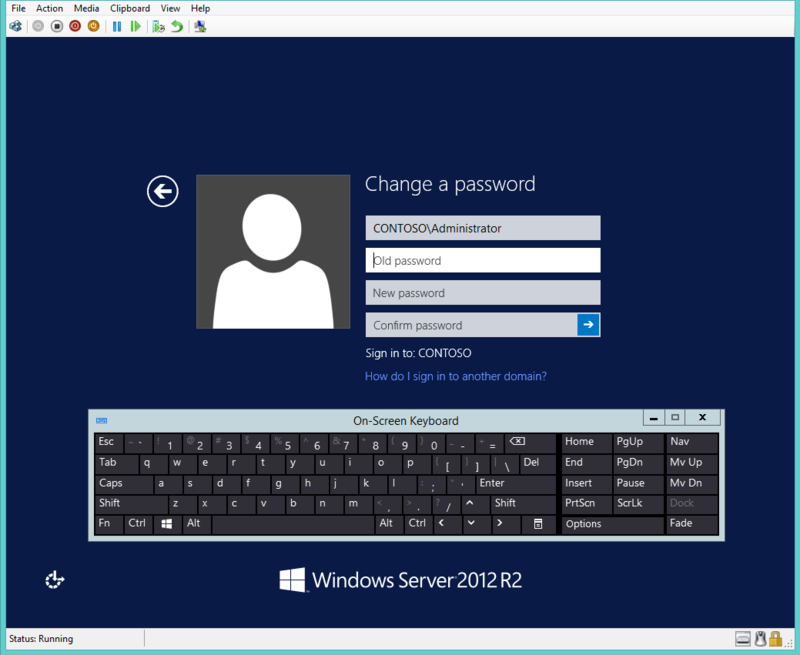 How can I reset password on Windows 2012 without knowing it? 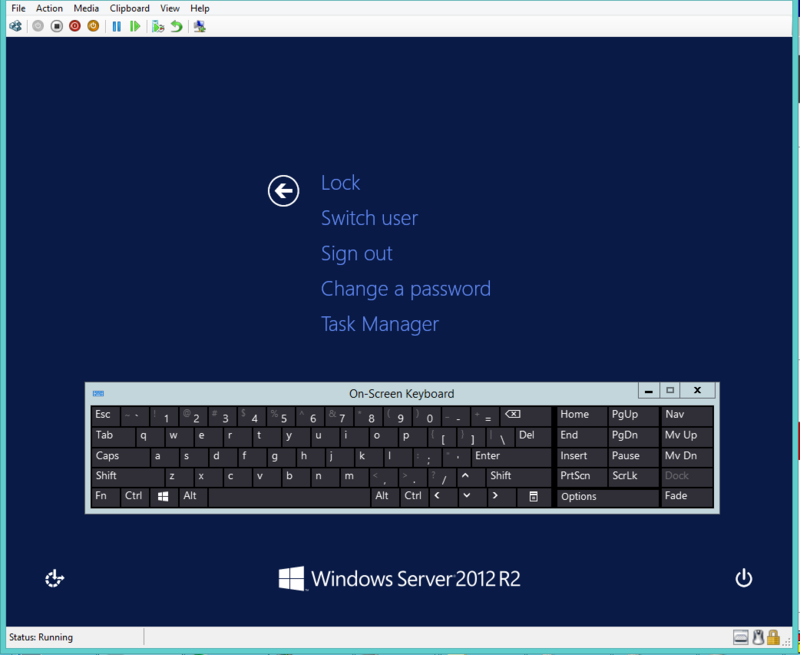 How to change Windows Server 2012 password requirements when installing? How is the “change password at next logon” requirement supposed to work with RDP using Network Level Authentication?